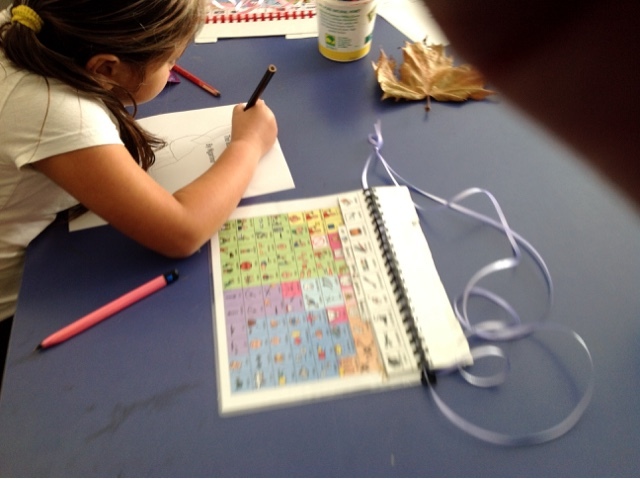 I can spell the names of my classmates. The first four names I spelt from memory. The remaining names I spelt by first looking at each name on the publishing wall once and then writing each name on the whiteboard. 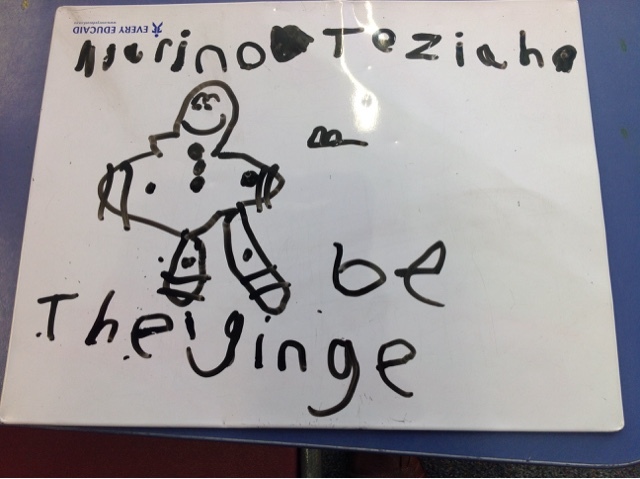 Fantastic observation and recall Ngarino!! 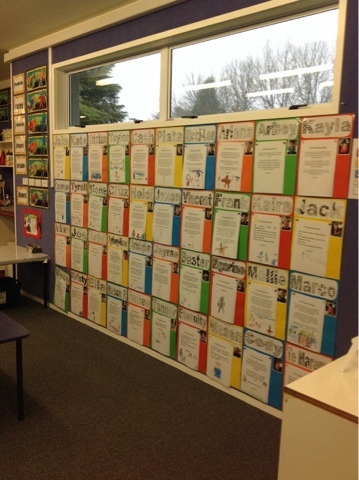 Publishing wall where I would see how each of my classmates spell their names. 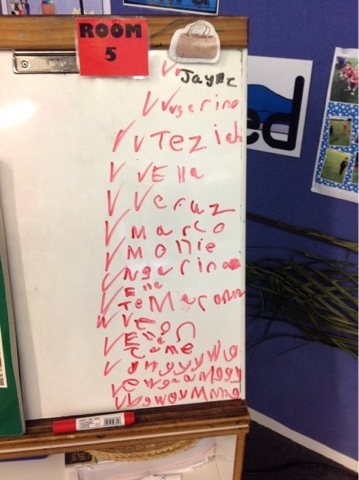 Name spelling on the whiteboard. I remembered how to spell each name by looking at each name only once on the publishing wall!! We are reading the "Gingerbread Man" in class. 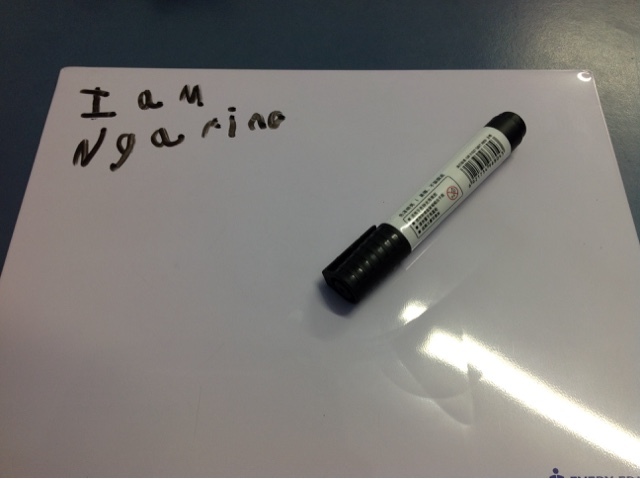 We are learning to write about what happened at the beginning, middle and ending of the story. 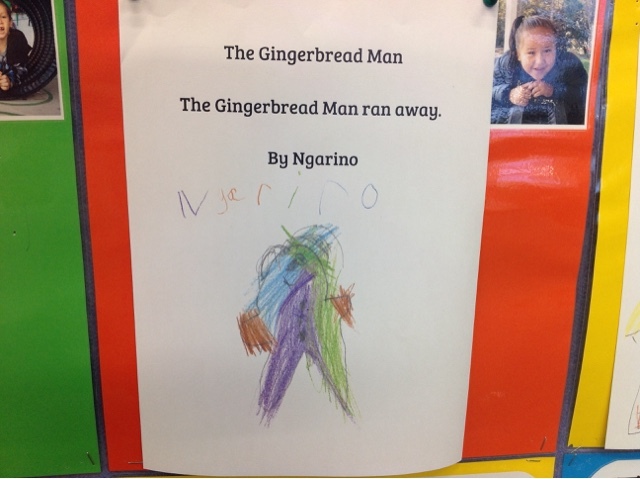 This is the start of my story about the Gingerbread Man. 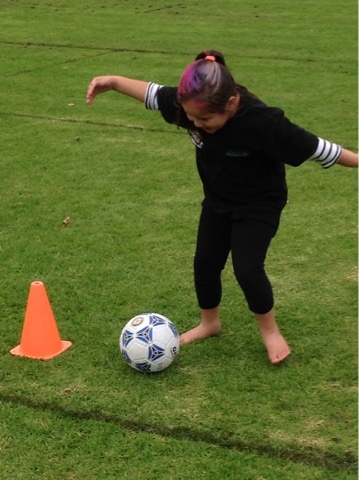 I am kicking the ball around the cones during fitness with Whae Gina. I really enjoy sports! 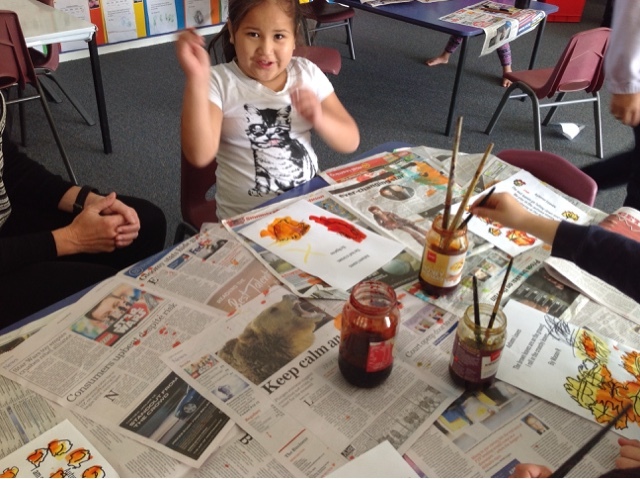 Teziah, Bev, Lisa and I are making lunch for food Friday tomorrow. 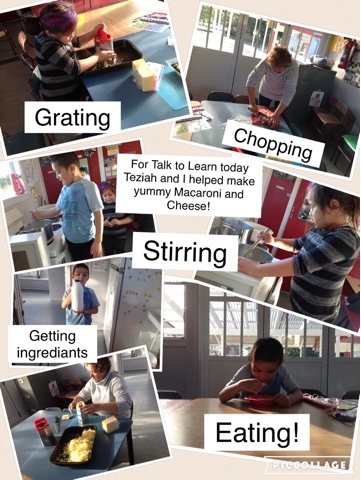 We all took turns grating, stirring and tasting our yummy Macaroni and Cheese! We hope everyone will like it!! I got all of my spelling words correct today!!! Everyone was very excited and proud of me! 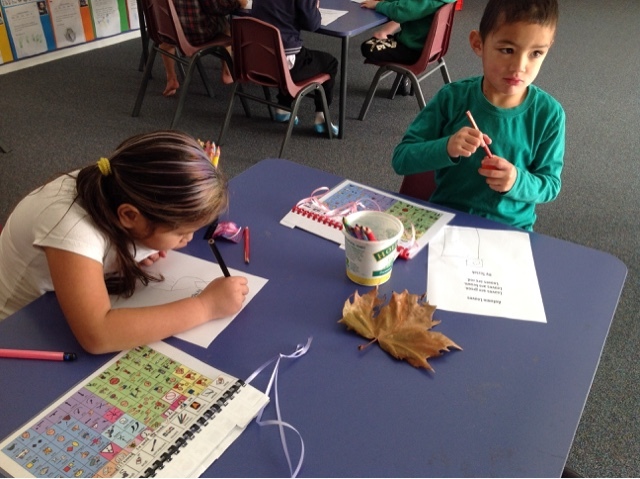 I am drawing a giraffe of brown and yellow walking through crunchy leafs. Beautiful drawing and colour!